The North Cariboo Community Opportunities Session was held on September 20, 2016 to support increased economic development and diversification with a focus on small business. Representatives from First Nations, other levels of government, and community leaders collaborated with North Cariboo region stakeholders on future economic opportunities. Following the session, the Quesnel Small Business Resource Team and other key stakeholder groups including agriculture, moved forward the implementation of the priority actions identified at the meeting, by holding a “Working Group” session on October 7th, 2016. During this session, the status of the priority actions was discussed and working group team leaders identified. The North Cariboo Agricultural Marketing Association (dba FARMED) was selected as the team leader for the Agriculture Working Group. 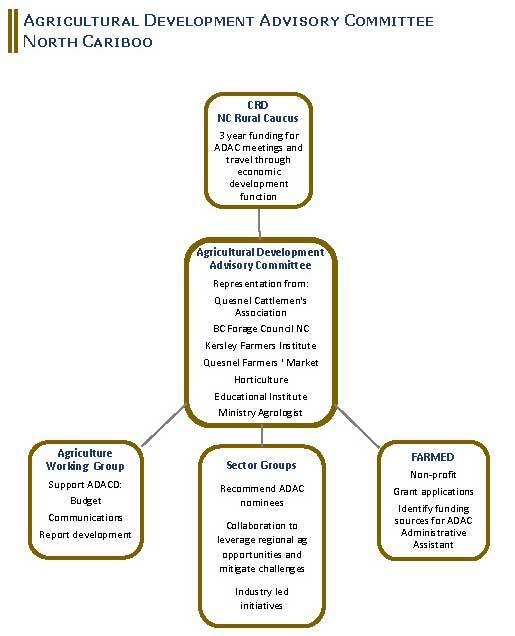 Through further outreach members of the Agriculture Working Group were identified and a Terms of Reference developed. Developing a marketing plan for the “Grown for you” brand. Enhancing an understanding of agriculture’s role in the local and/or regional economy.